The United States Capitol Grounds comprise one of the most historic landscapes in the nation. Designed by renowned landscape architect Frederick Law Olmsted in 1874, the Capitol Grounds are home to notable trees, unique architectural features, sculpture, and fountains. The Grounds have also been the stage for hundreds of events of national significance, including inaugurations, commemorations, protests, concerts and more. 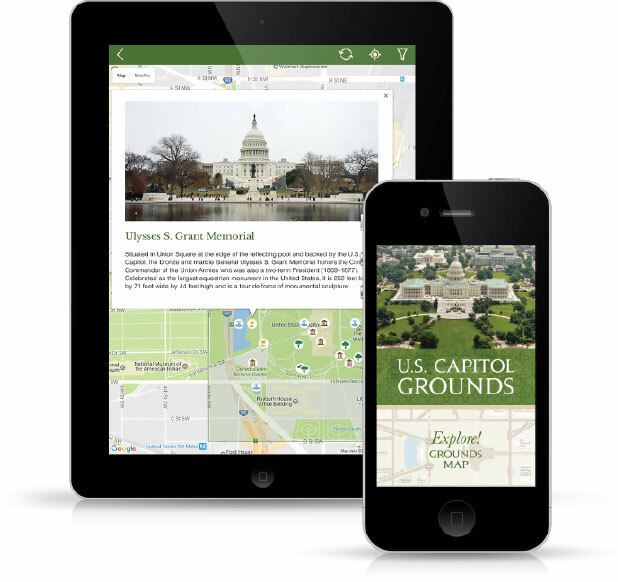 Explore the treasures and rich history of the United States Capitol Grounds. Located in the center of the U.S. Capitol below the Capitol Dome, the Rotunda has been the stage for important moments in the history of our nation for nearly 200 years. 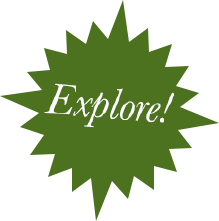 Use this app to learn about the historic ceremonies that have occurred there and explore the Rotunda's soaring architecture, commemorative sculptures and historic paintings that ornament the "heart of the Capitol." Available on Samsung Gear VR, Google Daydream, Oculus Go. Stand in the Rotunda of the U.S. Capitol and explore the historic paintings, statues and architecture found in this awe-inspiring place. From the comfort of your home or classroom, move closer to the artwork and examine the details of our nation’s history. This free app uses virtual reality technology to explore the Rotunda and other Washington, D.C. historic sites. Click here to experience VR.